I don’t have an oven. Since I have moved to Berlin, where I am about to start studying, my kitchen contains no oven, nor the possibility to place one inside the new flat. Until I move out, it will not be possible for me to bake sweets in my new home, so baked goods might be shown here less often (you might have already noticed). Nevertheless, I have prepared some things for you that should keep the blog going until my kitchen supplies have changed and I hope you like the result shown in the pictures as much as I do. You know I love figs. Hells, I REALLY love them. When visiting my grandma in Bulgaria this year, I kind of occupied her oven to experiment. This is a result, isn’t it? 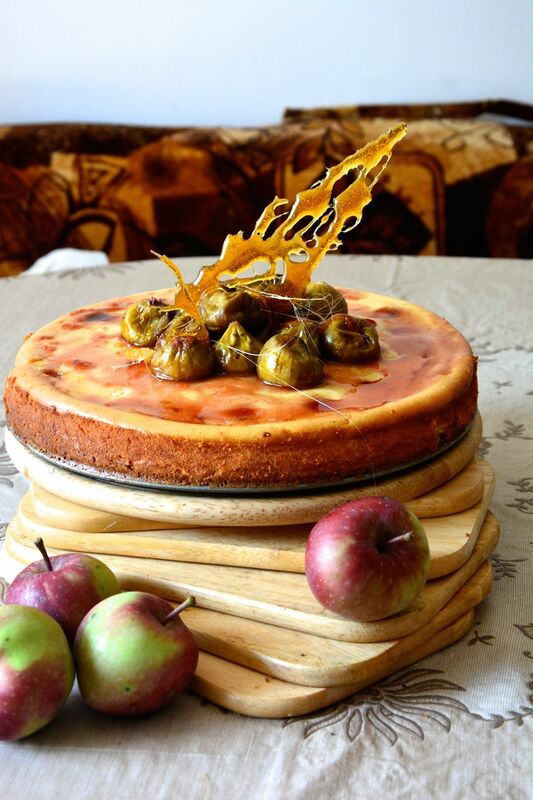 Cinnamon cheesecake with a crunchy cookie crust, topped with sweet, soft and juicy figs and in between a caramel note due to the decorative parts. Crunch the cookies in a freezer bag. Mix the crumbles with the melted butter and spread in a round cake pan with 26 cm (10´´) diameter. Press down the cookie and butter mixture with a spoon. In a large bowl, combine the ingredients for the cheese layer and beat with a mixer until the mass is smooth. Pour the mass over the cookie crust and bake for about 45 minutes (until the center stops jiggling). Don’t turn off the oven yet. 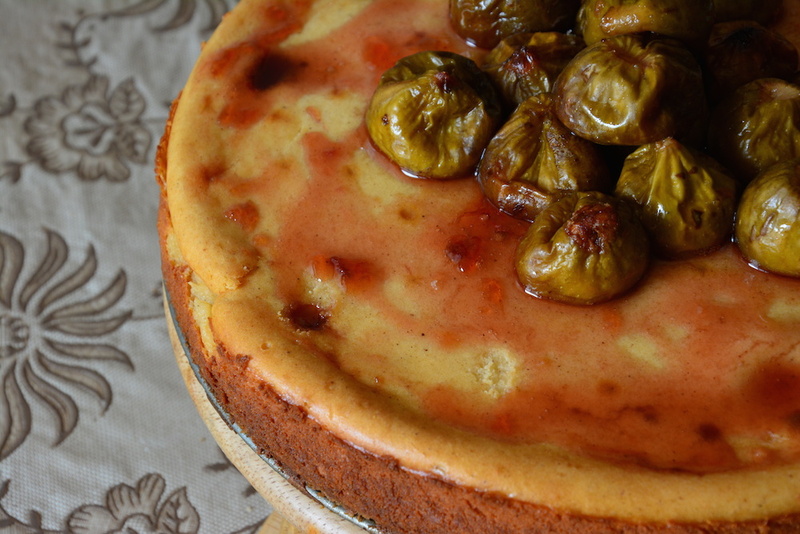 Let the cheesecake cool and prepare the figs in the meantime. Place the figs in a large pan. Spread the sugar on top and bake in the preheated oven for about 20 minutes, until there is a jelly-like liquid at the bottom of your pan. 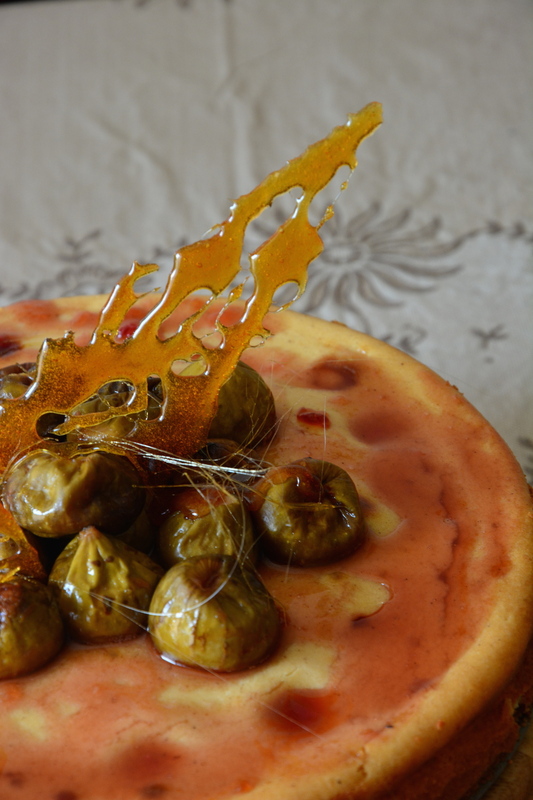 Place the figs on top of the cake and pour the jelly all over them. Tastes best with… nah, it tastes good enough the way it is. Enjoy!